In this intricate, multidisciplinary installation, artist/writer Shannon Yee has translated a harrowing medical ordeal into a disorientating autobiographical journey into and through the unknown. Seven years ago, she was floored by a rare brain infection, which brought her perilously close to death. 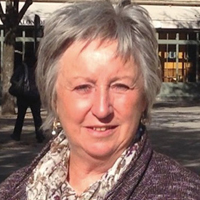 When she emerged out of the darkness, she felt compelled to do what she knows best. In a feat of artistic daring, she has reconstructed the experience of physical freefall and vividly captured the agonising, bewildering process of having one’s brain reassembled, albeit slightly askew. 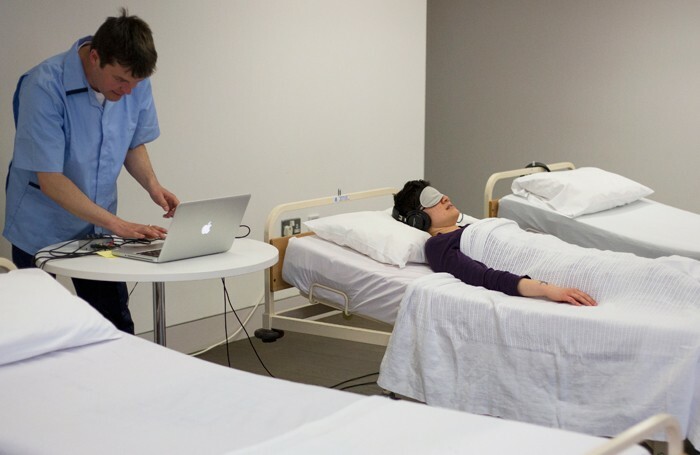 From the sterile isolation of hospital beds, audience members are blindfolded and fitted with headphones, which serve to place them at the epicentre of the real thing, immersed into a strange alternative universe and enveloped in a cacophony of sounds and disembodied voices. Collaboration is key among a creative team directed by Anna Newell, who works extensively in interdisciplinary performance. Stevie Prickett’s choreography swirls and paces across the consciousness, while Paul Stapleton’s echoing 360-degree soundscape invades and inspires the imagination. The narrative begins inside a mind preoccupied with everyday thoughts of Christmas presents, shopping and navigating heavy traffic. When the fall comes, it pitches us into a bottomless pit of chaos, punctuated by the reassuring voices of the medical experts, who slowly return their patient to a normality of sorts. Equally powerful is the calm vocal presence of Yee’s partner Graínne (Mary Moulds), sharing the love story at the core of the piece. This experience works on artistic, educational, spiritual and emotional levels. It should be available on prescription.